I'm a second-generation Chinese American. I'm a dad, a son, and a soon-to-be husband. I'm an active citizen who wants his city, state, and nation to do better. I'm a baseball fanatic. I live in Seattle but I'm now on the road for a book tour. I was born and raised in Poughkeepsie, New York, in the Hudson Valley. My parents were born in China (in Nanjing), grew up in Taipei, and emigrated to the U.S. in the late 1950s. 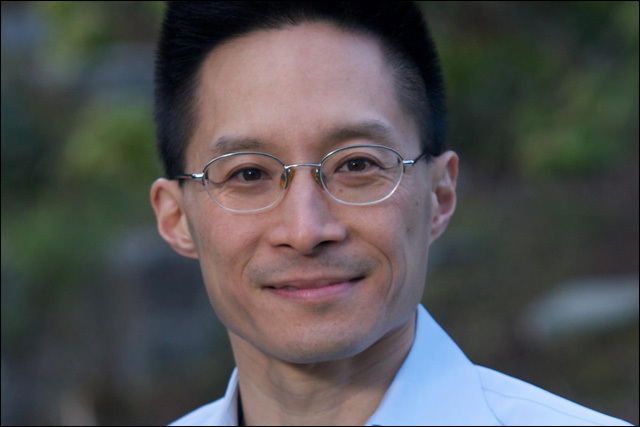 I'm founder and CEO of Citizen University, a nonprofit that teaches the art and practice of powerful citizenship, and I'm the author of several books, including The Accidental Asian, The Gardens of Democracy, and my latest, A Chinaman's Chance about being Chinese American in this age of China and America. I'm all about trying to push this country to live up to its creed. I used to work in government, as a speechwriter for President Clinton and later as his deputy domestic policy adviser. Now in my writing, teaching, and organizing I'm working to change our civic culture. I want to Americans to appreciate that however long their families have been here, in a sense we're all second-generation: we've all inherited a great experiment in mass, multiracial democracy -- an experiment that people before us bore huge risks and sacrifices to create -- and now we all have the task of not blowing it. I get angry when people are denied the chance to express and develop their full potential. Today's levels of inequality, of wealth and voice, are making it harder to believe in the American Dream, much less equal citizenship. I get angry when people think that to be or become American still means to be or become white. I get angry when Americans who look like me are presumed foreign until proven otherwise. I get angry when people who were born here do nothing to contribute, participate, or "earn" their citizenship. I get angry when people forget that America's openness to newcomers is our most important competitive advantage. And I get angry when the Yankees underperform.